The Argentine claimed scoring records for both the Pumas and Leinster before retiring. FORMER LEINSTER OUT-HALF Felipe Contepomi will be one of five new faces inducted into the World Rugby hall of fame next month. The Argentine — who was Leinster’s record points scorer until Johnny Sexton overtook his 1225 this month — played 116 times for the eastern province and played a major role in Michael Cheika’s revolution before moving to Toulon in 2009. Contepomi also played a central role in Argentina’s ascent to the top tier of the game and was an ever-present as the Pumas claimed bronze at the 2007 Rugby World Cup, beating hosts France and crushing Ireland along the way. Alongside Contepomi, the 2017 November entries to the hall of fame are Canada’s Al Charron, England’s Rob Andrew, USA’s Phaidra Knight and French great Fabien Pelous. “The latest set of inductions includes some real legends,” says World Rugby chairman Bill Beaumont, “players who have helped to shape the image of rugby and inspire generations of fans. Email “Leinster legend Felipe Contepomi to be inducted in World Rugby Hall of Fame”. 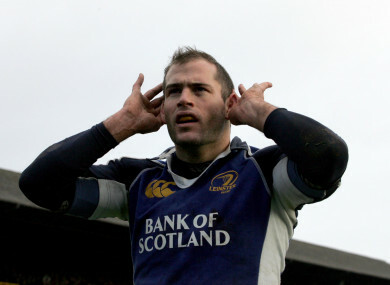 Feedback on “Leinster legend Felipe Contepomi to be inducted in World Rugby Hall of Fame”.